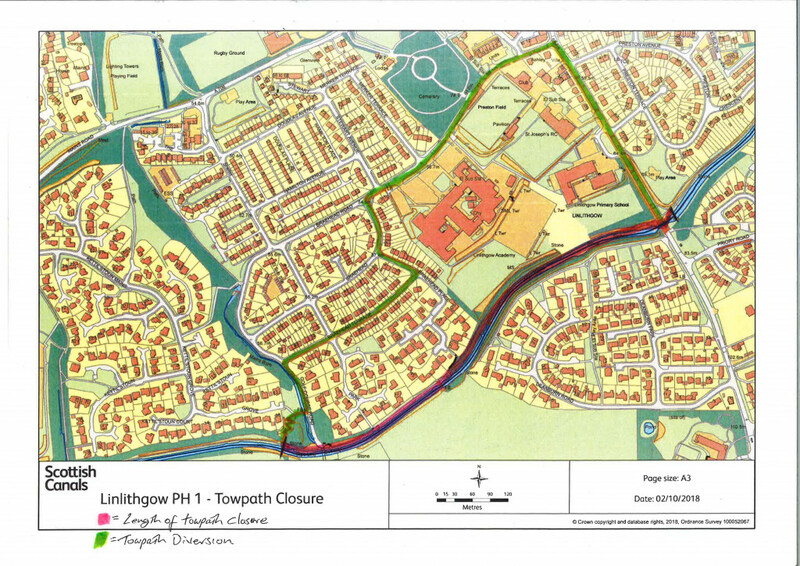 The outcome of the Linlithgow Embankment Study in 2017 was a report which identified a list of priority embankment works. These priority works will get underway in 2018. Linlithgow Embankments sit at an elevated level above the Royal Burgh of Linlithgow on the Union Canal and are classed as significant high risk assets due to the potential impact any failures would have on the town below. In 2017 Scottish Canals along with appointed consultants carried out a detailed study of the embankments and condition of the channel, you can read more about the study here. The outcome of the study was a report which identified a list of priority embankment works. A project is now underway to address these priority works which will include leakage and seepage arrest works and hard edge protections works to improve the stability of the embankment reducing the likelihood of major failure. 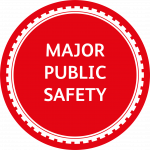 If no action is taken the asset would continue to deteriorate and this would ultimately undermine the structure and cause it to fail, resulting in local flooding. Fiona Hyslop MSP joined pupils on Monday 28th January from Low Port Primary School to find out more about the vital works involved in the project – and help them learn more about the engineering, heritage and environments of the Union Canal for their STEM project! 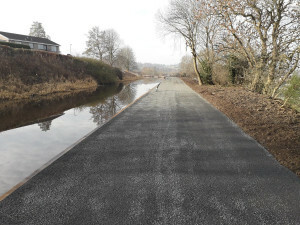 Both phases of work at Linlithgow Embankment have been completed, and all areas are once again open to the public. There are still provision of services works on the ground at the embankment, but there are no restrictions to towpath or navigation. 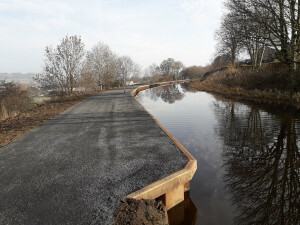 Phase 1 embankment improvements are nearing completion, with the new towpath constructed and services to moorings in progress.